Gillman Acura is excited to offer this 2019 Acura TLX. Drive home in your new pre-owned vehicle with the knowledge you're fully backed by the CARFAX Buyback Guarantee. The 2019 Acura offers compelling fuel-efficiency along with great value. You will no longer feel the need to repeatedly fill up this Acura TLX 's gas tank, in part because of it's superb EPA rating. There are many vehicles on the market but if you are looking for a vehicle that will perform as good as it looks then this Acura TLX is the one! Look no further, you have found exactly what you've been looking for. 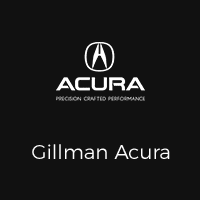 Thank you for visiting another one of Gillman Acura's online listings! Please continue for more information on this 2019 Acura TLX with 3,981mi. Your buying risks are reduced thanks to a CARFAX BuyBack Guarantee. Outstanding fuel economy and sleek styling are two great reasons to consider this Acura TLX. Driven by many, but adored by more, the Acura TLX is a perfect addition to any home. There are many vehicles on the market but if you are looking for a vehicle that will perform as good as it looks then this Acura TLX is the one! Gillman Acura is pleased to be currently offering this 2019 Acura TLX w/A-SPEC Pkg with 5,343mi. Your buying risks are reduced thanks to a CARFAX BuyBack Guarantee. Start enjoying more time in your new ride and less time at the gas station with this 2019 Acura TLX. There are many vehicles on the market but if you are looking for a vehicle that will perform as good as it looks then this Acura TLX w/A-SPEC Pkg is the one! This is the one. Just what you've been looking for. This 2019 Acura TLX w/A-SPEC Pkg is proudly offered by Gillman Acura This 2019 Acura TLX comes with a CARFAX Buyback Guarantee, which means you can buy with certainty. You could spend more on fuel each month than on your vehicle payments, so why not consider one with exceptional fuel economy like this 2019 Acura TLX. This vehicle won't last long, take it home today. Driven by many, but adored by more, the Acura TLX w/A-SPEC Pkg is a perfect addition to any home. Gillman Acura is pleased to be currently offering this 2019 Acura TLX w/A-SPEC Pkg with 5,386mi. This vehicle is loaded with great features, plus it comes with the CARFAX BuyBack Guarantee. Start enjoying more time in your new ride and less time at the gas station with this 2019 Acura TLX. This vehicle won't last long, take it home today. There are many vehicles on the market but if you are looking for a vehicle that will perform as good as it looks then this Acura TLX w/A-SPEC Pkg is the one! Gillman Acura has a wide selection of exceptional pre-owned vehicles to choose from, including this 2019 Acura TLX. This 2019 Acura TLX comes with a CARFAX Buyback Guarantee, which means you can buy with certainty. Everyone hates the gas pump. Skip a few gas stations with this super fuel efficient AcuraTLX. The quintessential Acura -- This Acura TLX w/A-SPEC Pkg speaks volumes about its owner, about uncompromising individuality, a passion for driving and standards far above the ordinary. Based on the superb condition of this vehicle, along with the options and color, this Acura TLX w/A-SPEC Pkg is sure to sell fast.